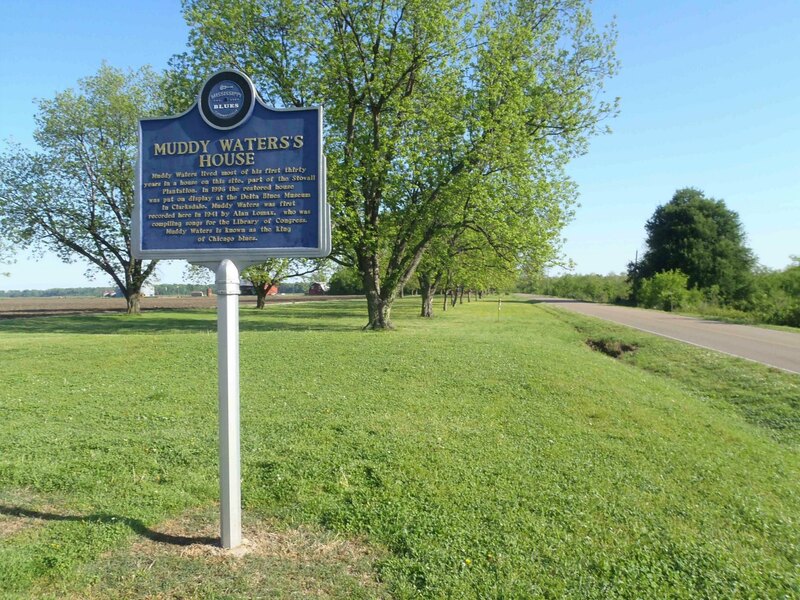 The Mississippi Blues Trail has a marker at the site of Muddy Waters’ house on Stovall Farm, just outside Clarksdale, Mississippi. 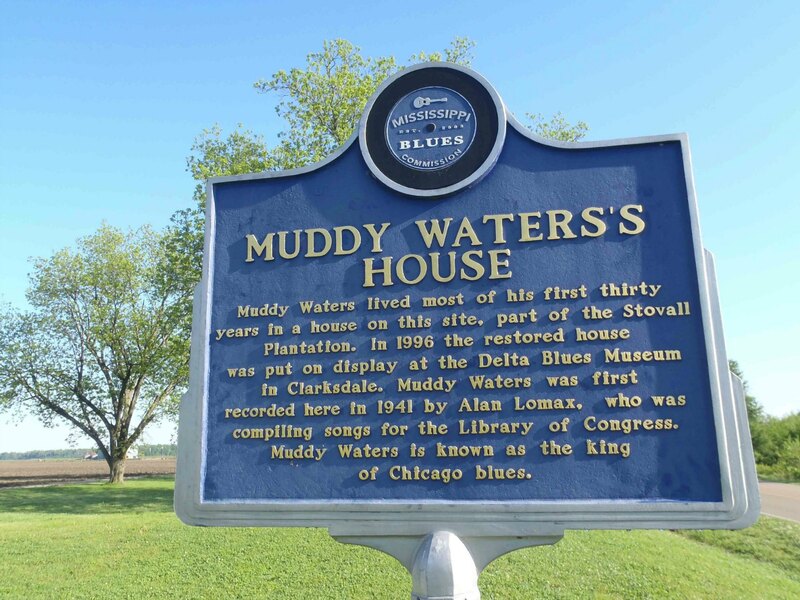 The actual house that Muddy Waters lived in is no longer at this site; it has been moved to the Delta Blues Museum in Clarksdale. This is an important site in blues history: it was the site of Muddy Waters’ first recordings, made in 1941-42 by Alan Lomax. To hear samples of the 1941 Alan Lomax recordings of Muddy Waters at Stovall Farm, click here. A Blues Hall of Fame and Rock and Roll Hall of Fame marker has also been placed at this site. 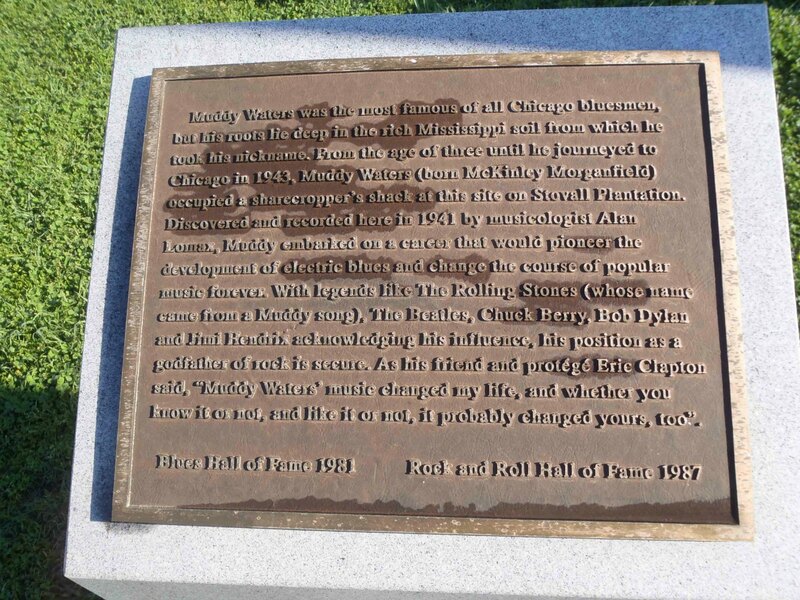 The Mississippi Blues Trail marker and the Blues Hall of Fame marker at the Muddy Waters House site, Stovall Farms, outside Clarksdale, Mississippi. 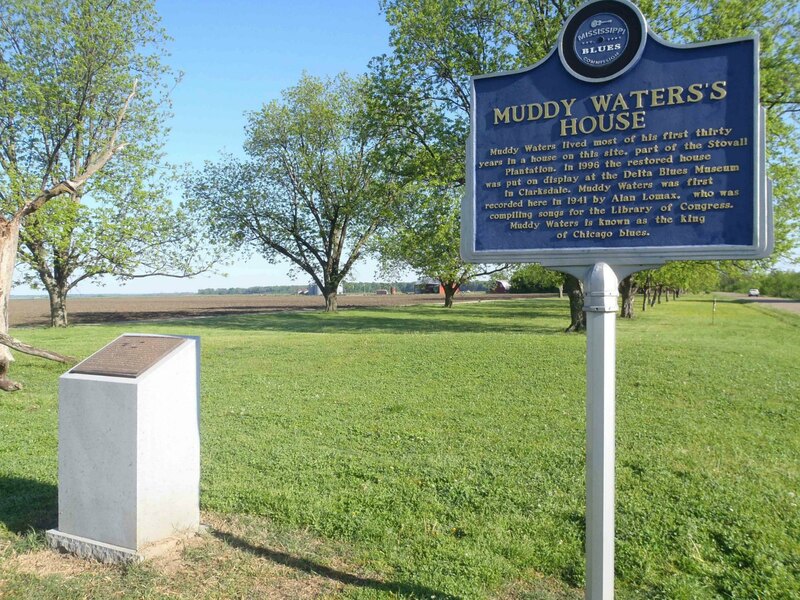 The first Muddy Waters recordings were made at this site in 1941-42 by Alan Lomax. 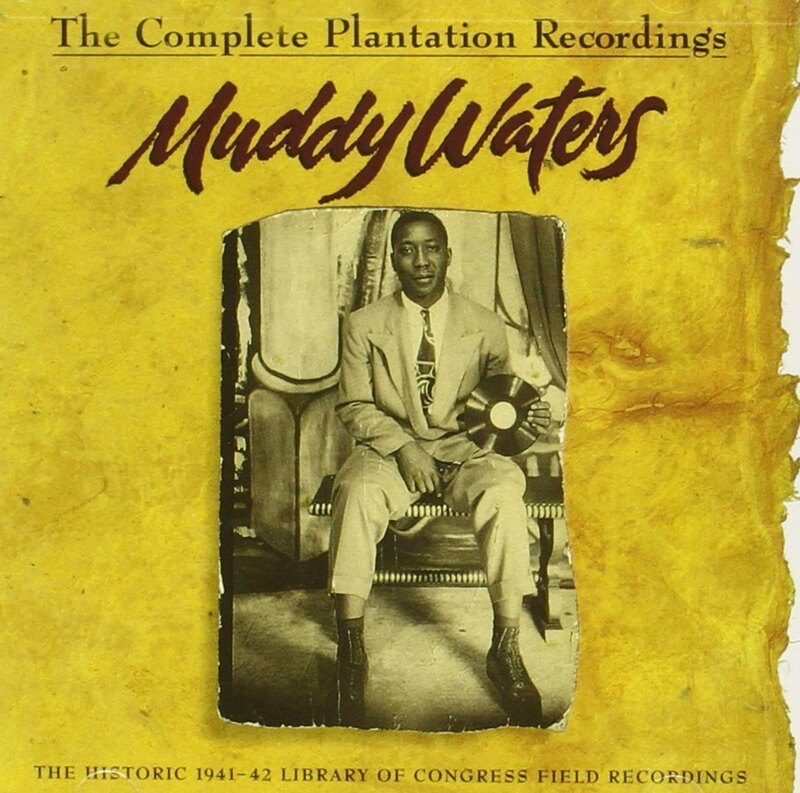 We are currently recommending Muddy Waters – The Complete Plantation Recordings as a source for these important blues recordings. 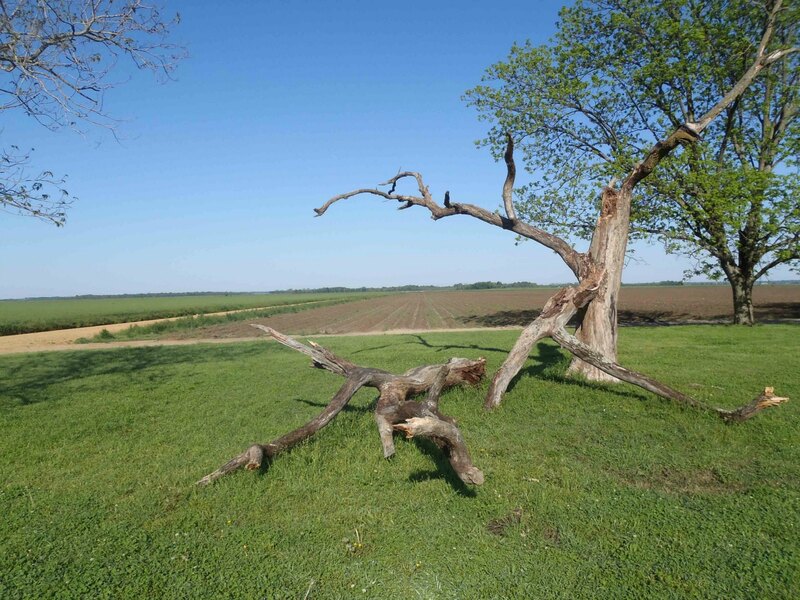 The photos below show the views of the Stovall Farm fields from the former site of Muddy Waters cabin. This flat agricultural landscape is typical of the Mississippi Delta in Coahoma County and the counties immediately adjacent to it. View of the Stovall Farms fields from the Muddy Waters House site. View of the Stovall farms fields from the Muddy Waters House site. This is typical of the geography of Coahoma County around Clarksdale, Mississippi. 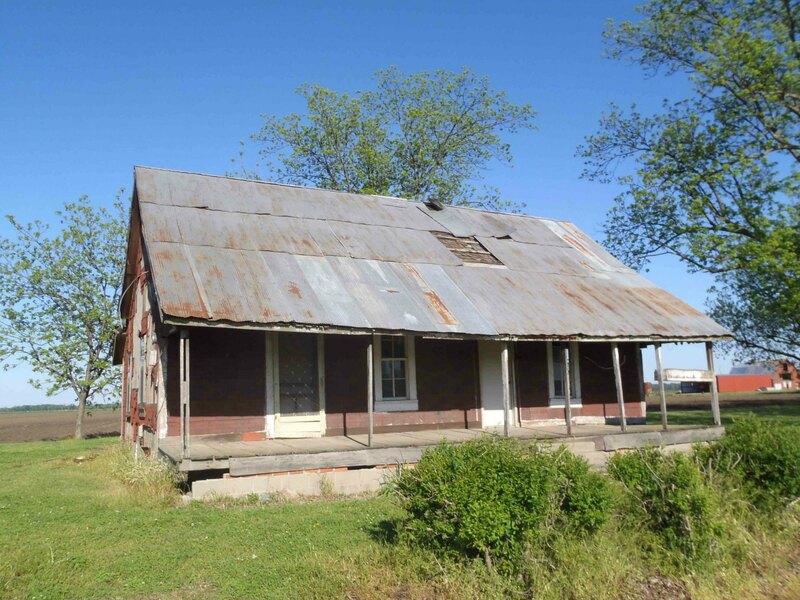 This abandoned house on the highway between the Muddy Waters House site and the Stovall farms entrance gives some indication of farm housing at the time Muddy Waters lived at Stovall Farms. 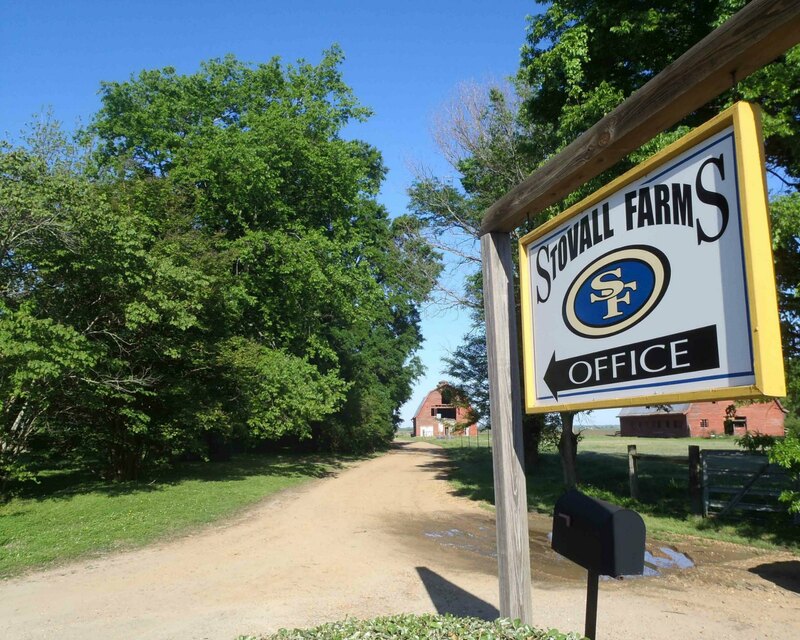 Stovall Farms is still an operating farm. 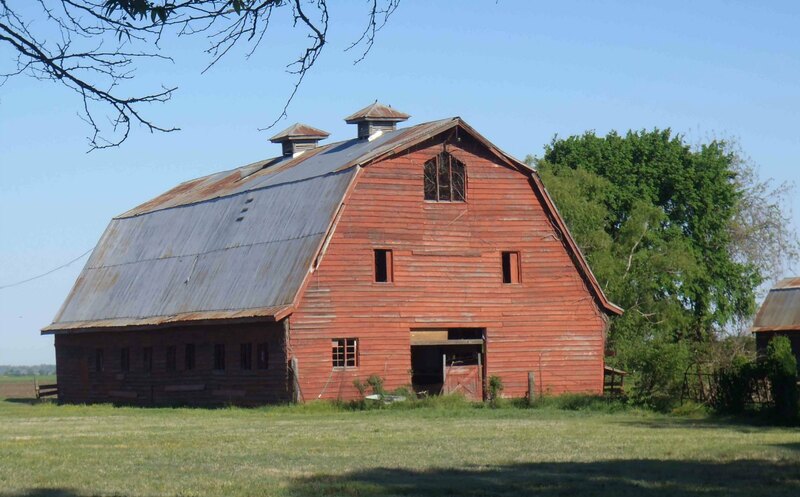 It is the oldest operating farm in Coahoma County. Stovall Farms entrance, near the Muddy Waters House site. Stovall Farms barn near the farm entrance, near the Muddy Waters House site.